Our resident PT and Tennis superstar Mark Jones heads up our online Tennis coaching programs. Mark has worked with a broad range of general health clients and athletes taking many people towards the health goals they set for their life. He also specialises in training tennis athletes of varying competition levels and ages; from professionals to social hitters and school kids. He has recently teamed up with Nathan & Giselle Martin who have been at the forefront of worldwide, tennis fitness innovation and tennis fitness training for the past 16 years. They have worked with athletes like Lleyton Hewitt, Sam Stosur, Martina Navratilova, Jennifer Capriati, Svetlana Kuznetsova and Monica Seles. 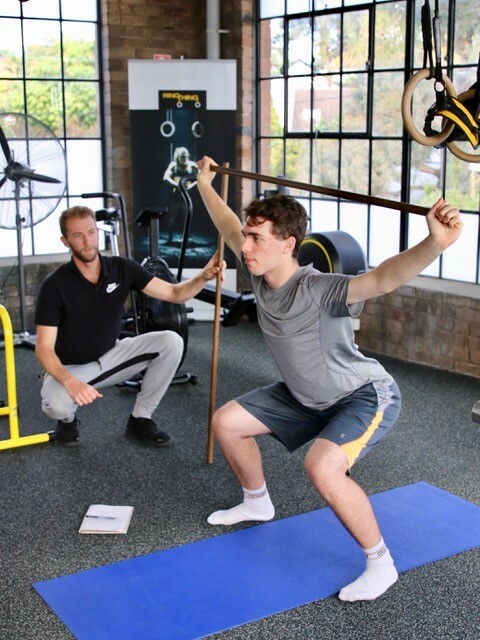 Mark is passionate about helping tennis players reach their optimal potential through improved physical performance, injury reduction and ongoing education. It’s a complete tennis fitness program, focusing on; stretching, warm up and cool down routines to speed, agility, power, strength training, tennis footwork and much more. Recently winning the 2018 Brisvegas Doubles Championship is Marks latest achievement.